[Lev 23:33-43 KJV] 33 And the LORD spake unto Moses, saying, 34 Speak unto the children of Israel, saying, The fifteenth day of this seventh month [shall be] the feast of tabernacles [for] seven days unto the LORD. 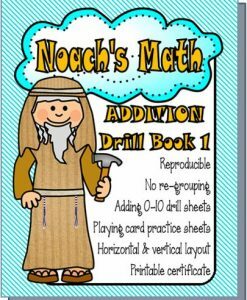 35 On the first day [shall be] an holy convocation: ye shall do no servile work [therein]. 36 Seven days ye shall offer an offering made by fire unto the LORD: on the eighth day shall be an holy convocation unto you; and ye shall offer an offering made by fire unto the LORD: it [is] a solemn assembly; [and] ye shall do no servile work [therein]. 37 These [are] the feasts of the LORD, which ye shall proclaim [to be] holy convocations, to offer an offering made by fire unto the LORD, a burnt offering, and a meat offering, a sacrifice, and drink offerings, every thing upon his day: 38 Beside the sabbaths of the LORD, and beside your gifts, and beside all your vows, and beside all your freewill offerings, which ye give unto the LORD. 39 Also in the fifteenth day of the seventh month, when ye have gathered in the fruit of the land, ye shall keep a feast unto the LORD seven days: on the first day [shall be] a sabbath, and on the eighth day [shall be] a sabbath. 40 And ye shall take you on the first day the boughs of goodly trees, branches of palm trees, and the boughs of thick trees, and willows of the brook; and ye shall rejoice before the LORD your God seven days. 41 And ye shall keep it a feast unto the LORD seven days in the year. [It shall be] a statute for ever in your generations: ye shall celebrate it in the seventh month. 42 Ye shall dwell in booths seven days; all that are Israelites born shall dwell in booths: 43 That your generations may know that I made the children of Israel to dwell in booths, when I brought them out of the land of Egypt: I [am] the LORD your God. 1. Keep the first day and the eighth day Holy as regular Sabbaths, doing no servile work or the things associated with the seventh day Sabbath. 2. 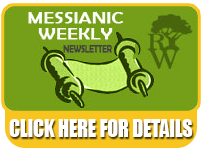 Keep it at its time and season on the fifteenth day of the seventh month (Tishrei/Hebrew Calendar). 3. Have holy convocations on the first day and the eighth day. This is a calling of the assembly or community of like-minded believers to assemble together and rejoice together. If no one is able to convocate then call together your own family or travel to where another group of believers are assembling and keeping this feast Holy. How do I celebrate the Feast of Tabernacles? 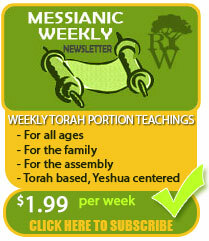 What are some practical ways to enjoy and teach this feast to my children? It is important to know that Sukkot along with all of the Feasts of the Lord are only shadows and not substance. What do I mean by that? Paul tells us in the letter to the Colossians that dietary laws, the sabbaths, and holy days (feast days) are a shadow but the substance is the Messiah. 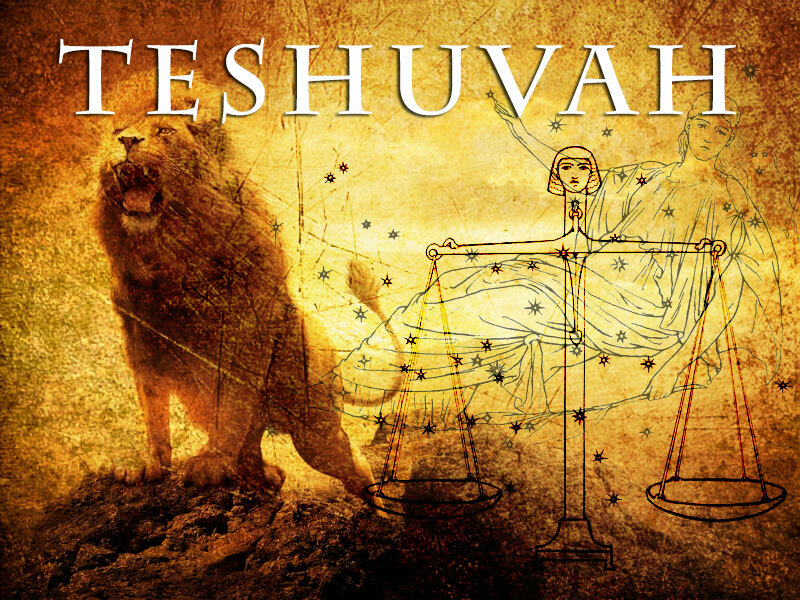 [Col 2:16-17 KJV] 16 Let no man therefore judge you in meat, or in drink, or in respect of an holyday, or of the new moon, or of the sabbath [days]: 17 Which are a shadow of things to come; but the body [is] of Christ. That being said, take a deep breath and tell yourself to relax. Tell yourself you won’t get all of this overnight but little by little. It is very sad when I see people starting to get excited about the Feasts of the Lord but only to get frustrated by details. To make matters worse I also see believers that have been learning about the feasts for a longer period of time and they are not gentle with those that are new to the feasts and they overwhelm people with too much information. Let’s remember the focus. The focus is the substance. The substance is the Messiah. Some people find a group of believers that are camping and celebrating the Feast of Tabernacles. There are many great camps throughout the United States. Traveling and camping for eight days can be costly but the reward oftentimes far outweighs the cost. Some people setup a sukkah or booth in their yard or deck and decorate it. You can also eat meals outside as a family underneath the sukkah or maybe go out at night and try stargazing underneath your booth. All of this should accompany explaining and teaching to your children (if you have some) as to why you are doing this. A great importance on all of the feasts are to pass them on as a heritage to your children and grand children. 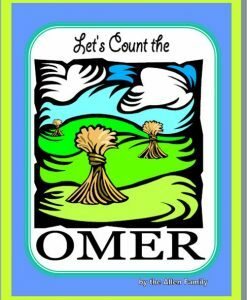 Feast of Ingathering- This is a time when the pilgrims of Israel must return to Israel for the last of three pilgrimage feasts (Passover, Shavuot, Sukkot). This is when the tithes of the land were brought in and the males presented themselves before the Lord in Jerusalem. 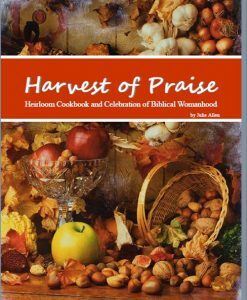 [Exo 23:16 KJV] 16 And the feast of harvest, the firstfruits of thy labours, which thou hast sown in the field: and the feast of ingathering, [which is] in the end of the year, when thou hast gathered in thy labours out of the field. [Exo 34:22 KJV] 22 And thou shalt observe the feast of weeks, of the firstfruits of wheat harvest, and the feast of ingathering at the year’s end. This is also prophetic of the Messianic kingdom when Yeshua returns to Jerusalem and reigns for a thousand years (AKA the Millennial Reign). At this time the nations will be required to come up to Jerusalem and keep the Feast of Tabernacles or plagues will be poured out upon them. 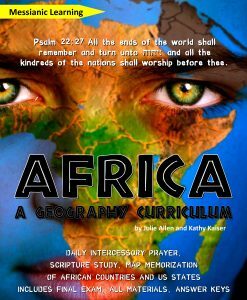 [Zec 14:16 KJV] 16 And it shall come to pass, [that] every one that is left of all the nations which came against Jerusalem shall even go up from year to year to worship the King, the LORD of hosts, and to keep the feast of tabernacles. Feast of Booths- Sometimes the Feast of Tabernacles is called the Feast of Booths in the Bible. This is the same feast but translated differently. You can see the naming of booths and the name given to a place by Jacob called Sukkot (also spelled succoth). [Gen 33:17 KJV] 17 And Jacob journeyed to Succoth, and built him an house, and made booths for his cattle: therefore the name of the place is called Succoth. Sukkot- This is the Hebrew name for this Feast because it is the Hebrew name for the booths or temporary shelters that were made. The singular form is a “sukkah” while the plural form is “sukkot.” You can see this name in Genesis 33:17. Etrog- Shaped like a heart it symbolizes the driving force behind all of our actions. Lulav- The Lulav comes from a date palm, the fruit has a good taste, but no smell. It symbolizes someone with knowledge of the Torah but no good deeds. Arava- The willow branch has neither good taste or smell. This symbolizes someone who has neither good deeds or knowledge of the Torah. 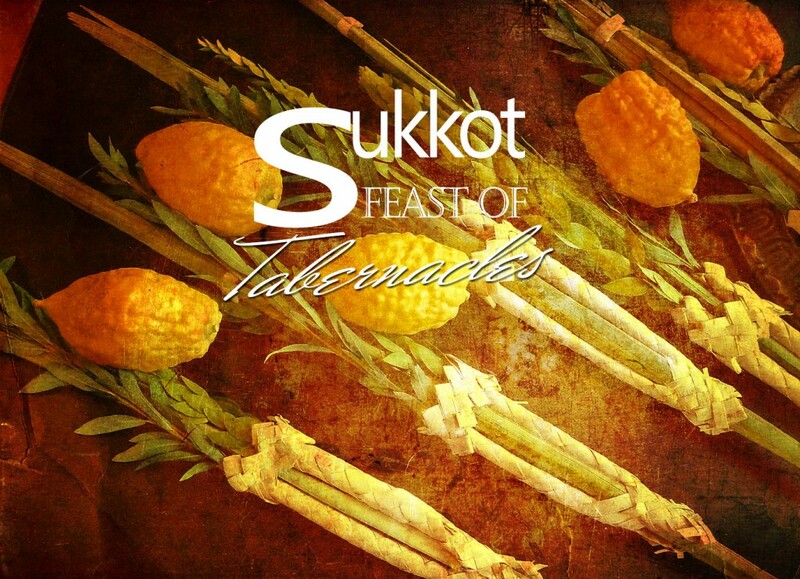 Sukkot is also called the Sabbath of the Feasts. This is because Sukkot is the seventh feast that occurs in the seventh month and it lasts seven days. The eighth day is not technically Sukkot but a separate holiday known as Shemini Etzeret (the Eighth Day). However you celebrate the Feast of Sukkot or on what calendar, may you do it with joy as this season is a time that God commands His people to rejoice before Him. At Yom Kippur God commands our souls to be afflicted while during Sukkot He commands us to be full of joy! If we repent during the Feast of Trumpets, seek YHVH’s redemption at Yom Kippur then we will be able to rejoice during Sukkot. It’s always in that order. This Sukkot may your joy be full!